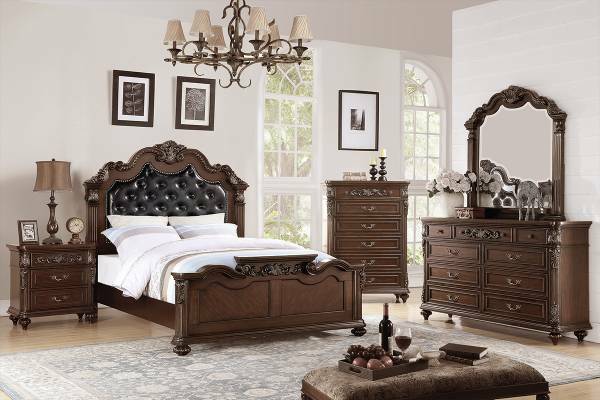 This American tradtional five piece bedroom set is designed to give your bedroom a subtle and classy look. 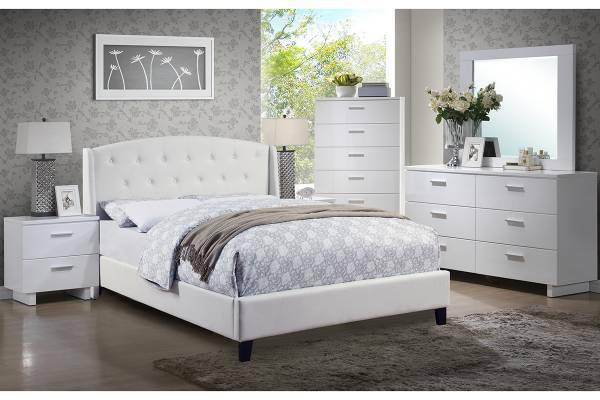 The set includes Queen/CA King/E King size bed frame, nightstand, chest, dresser and mirror. 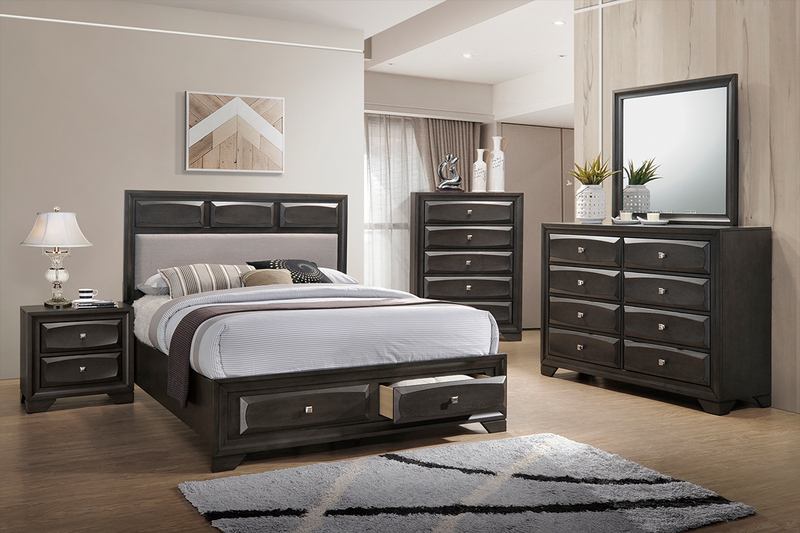 With additional storage built in under the bed frame, it provides ample storage space, that will help you keep your room organized. The dresser and mirror combination also function as a vanity, so you can comfortably get ready in your own room. 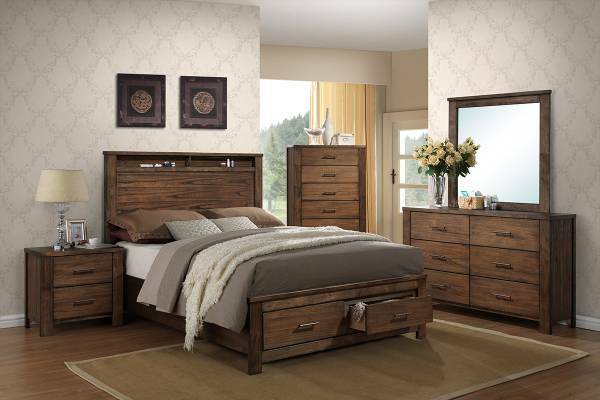 Allow this set to bring a sense of comfort and convenience to your most important living space.